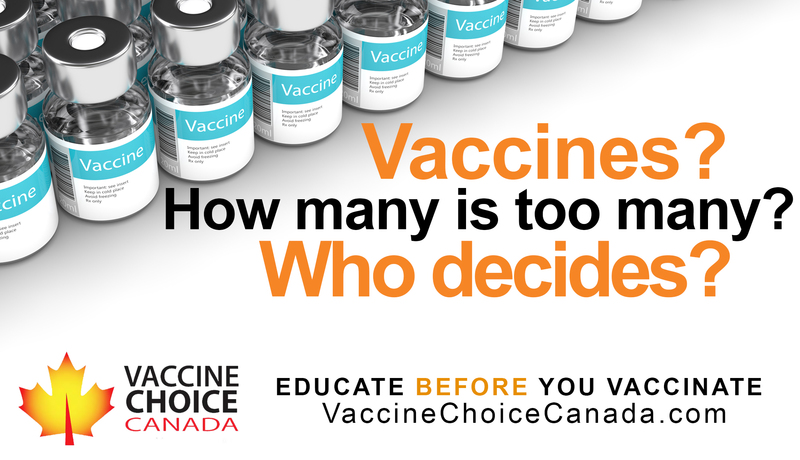 In February 2019 Vaccine Choice Canada launched four public service information ads on digital billboards in the Toronto area. After five days the billboard company was pressured by unknown sources to remove the ads. One of the justifications for removal was that the ads may have violated advertising standards. 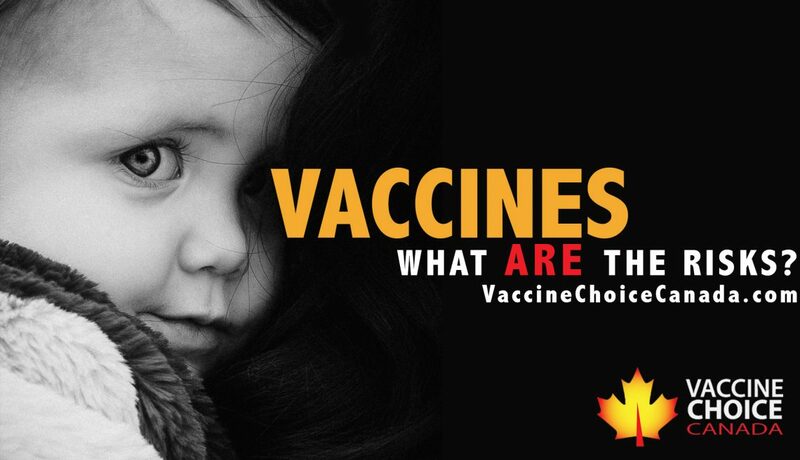 On February 27, 2019, Vaccine Choice Canada received a letter from Ad Standards with copies of the formal complaints. We were invited to comment with respect to the merits of these complaints. In total ten complaints were received. Each complaint used similar language and had the appearance of being generated as a result of a coordinated effort. Each complaint identified the product or service as: “Promoting Anti-Vaccines”. While we are prevented from disclosing the exact wording of the complaints due to privacy restrictions imposed by Ad Standards, we can share that the complaints presented the opinion that Vaccine Choice Canada is anti-vaccine, that we mislead Canadians with pseudoscience and conspiracy theories, and that we promote disease distribution among the population. Each of these complaints describe the product/service as: “promoting Anti-Vaccines”. VCC is dedicated to protecting the basic human right of all people to make fully informed and voluntary decisions about the medical practice of vaccination for themselves and their children. Our goal is to inform the public about the existing and emerging scientific research literature evaluating the risks, side effects and long-term health effects of current vaccination policies. There is nothing “anti-vaccine” in our purpose, mission or values. It would actually be in violation of our own mission and values to advocate either for or against vaccination. As is clearly stated in our mission, our purpose is medical choice/informed consent. Informed consent is actually legally required with any medical practice, product or procedure. The public information service provided by Vaccine Choice Canada is in support of the legal and ethical requirement for informed consent. In general, the goal of the billboard campaign was to encourage Canadians to educate themselves on the medical practice of vaccination so that their consent is truly informed. The complaints make a number of false claims. One wonders if these complaints were generated by individuals who actually viewed the public service announcements as their statements do not even remotely reflect the content of the public service announcements. There were four public service announcements. 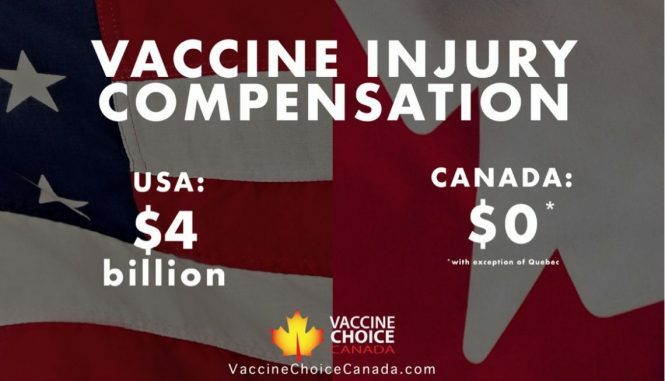 One public service announcement made the statement that the United States has awarded $4 billion in vaccine injury compensation and that Canada has awarded $0 in vaccine injury compensation. These statements are irrefutable facts. None of the complaints provided evidence that these statements are false, deceptive, or in error. This public service announcement simply informs Canadians that Canada does not have a national vaccine injury compensation program to compensate those who are injured or killed by vaccines. In fact, Canada is the only G7 Nation without a vaccine injury compensation program. A second public service announcement made the statement: “No shots. No school. Not true.” This too is a statement of fact and is irrefutable. All vaccines in Canada are voluntary. There is no legal requirement for children to be vaccinated in order to attend school. This public service announcement was designed to address a misperception commonly held by the community that vaccination is mandatory for school attendance. 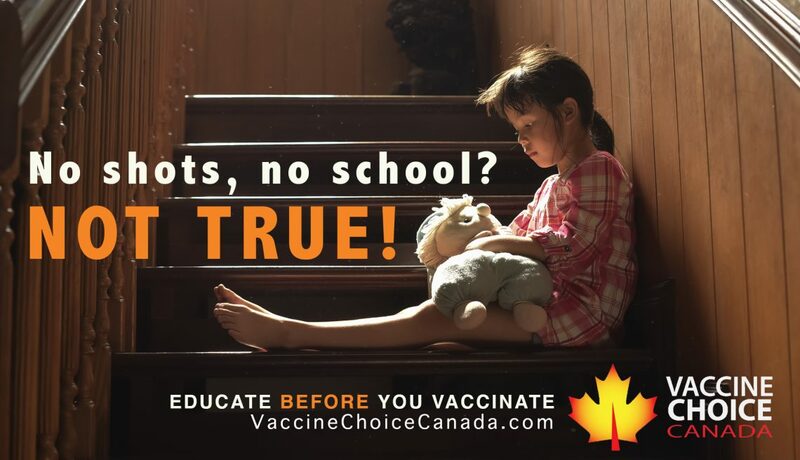 Vaccination is not required for school attendance in Canada and Health Canada is very clear on this matter. And finally, two of the public service announcements simply asked a question. One question is: “Vaccines: How many is too many? Who decides?” This question is in reference to the fact that the number of vaccines recommended for our children has increased 300% since 1980 and there are another 270+ vaccines under development. The other public service announcement asks: “Vaccines – What are the risks?” Our purpose with these public service announcements is to stimulate parents to do more in depth research on the issue of vaccine safety, effectiveness and necessity. The tag line in each of these public service announcements is: Educate before you vaccinate. We simply ask parents to be aware of the risk of not being informed. What is false, misleading, or irresponsible about inviting parents to “educate before they vaccinate”? One would assume that it is irresponsible to make medical decisions without first having educated oneself. How is providing health consumers with information on their legal rights pseudoscience and conspiracy theories, spreading misleading information, or promoting disease distribution? Unfortunately, there is a segment of society whose intention is to erode the medical ethic of informed consent and to remove the right of parents to medical choice pertaining to the practice of vaccination. We can only assume that these complaints were generated by individuals who are advocating for their own personal agenda and ideology. We’d also like to comment on the use the label “anti-vaccine”. This term is manipulative and dishonest and is used intentionally to marginalize an increasingly large group of Canadians. The correct term for the population in question is – individuals who are “vaccine risk aware”. The billboard messages were funded by the donations of Canadians who support the medical ethic of informed consent. Our assessment of the complaints is that they are without merit, vexatious, and malicious. Their purpose in bringing forth this action, which is without sufficient grounds, was purely to cause annoyance and to censor the free speech of Canadians who support the medical ethic of informed consent. Unfortunately, these individuals have been successful in their efforts to diminish informed consent and the freedom of speech of Canadians. It is our request, in consideration of the evidence provided here, that you determine that these complaints are without merit. Ad Standards chose not to rule on the merits of the complaints. In a message dated March 13, 2019, Ms. Bannacer, the manager for Ad Standards, informed Vaccine Choice Canada that due to the fact the ads had been removed that Ad Standards was unable to adjudicate the merits of the complaints.